Here is a colorful card for the day! I created this card for Operation Write Home and I was inspired by the current OWH Mid-month Challenge: Banners. Most of the banners for this card were made from the Avery Elle “Elle-ments” set. 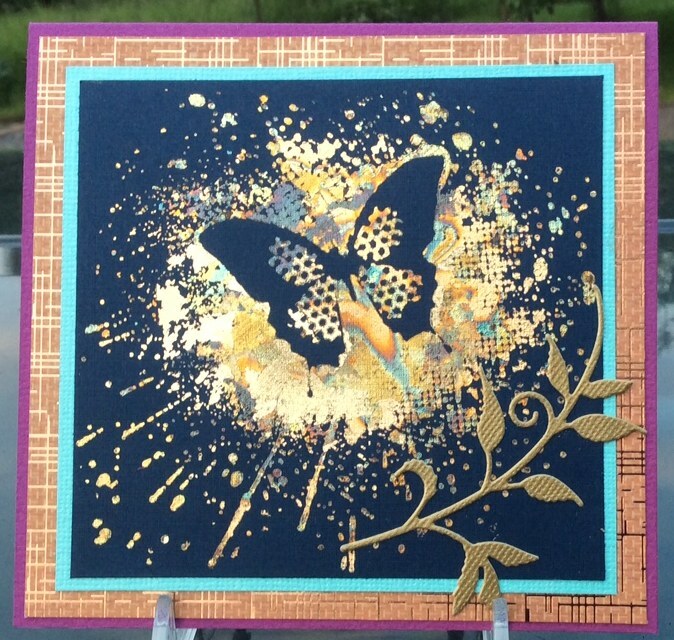 I mixed some Gelatos on white cardstock to match some of the colors in the pretty Bella Blvd papers. 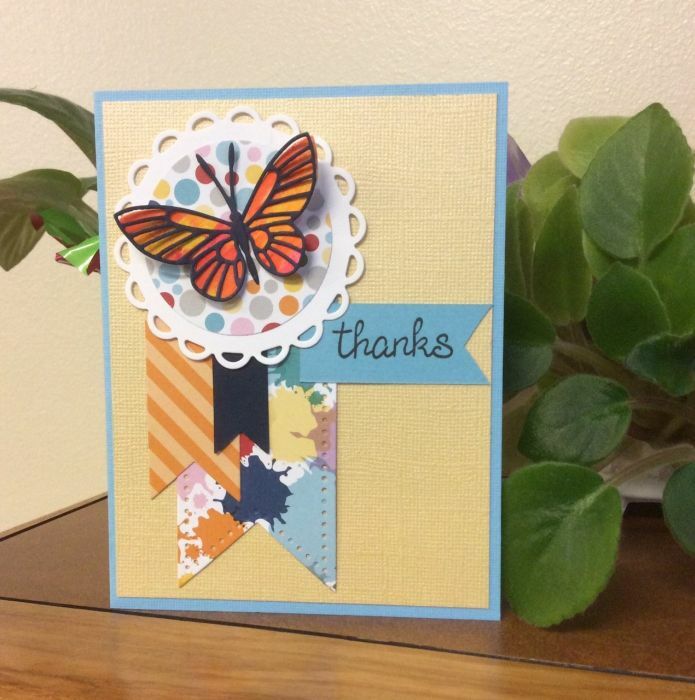 I spritzed the colors with water to create my own brightly colored paper that I die cut for the background butterfly. 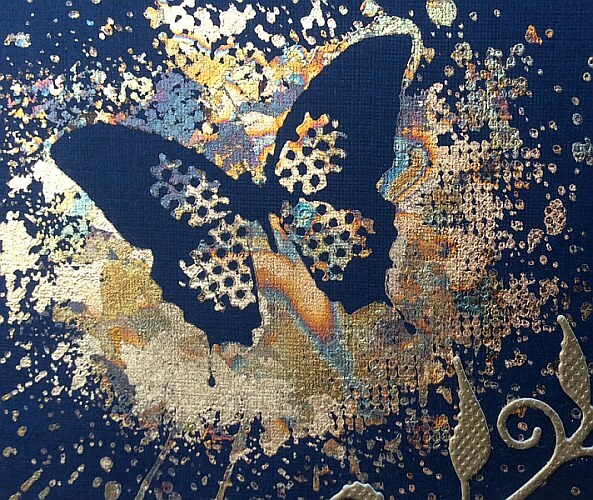 I placed the detailed, matching butterfly die cut on top to provide some definition of the wings. Both die cuts are securely adhered beneath the butterfly body so the wings float up a bit, to give the impression that the bug might fly off the paper! Thanks for stopping by.